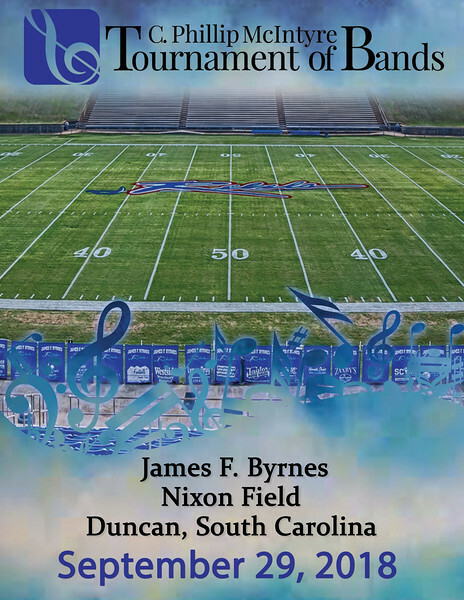 Thank you for your interest in the 2018 C. Phillip McIntyre Tournament of Bands. Images of all participating bands will be uploaded 4 - 6 weeks after the tournament has ended, so check back often. Feel free to get in touch with us for any questions you may have by clicking on the "Contact Us" link on top of this page, or by calling or sending a text message to (864) 614-1464. If you have missed or are still interested in images from the 2017 or 2016 C. Phillip McIntyre Tournament of Bands, please click on the link below to view these images.